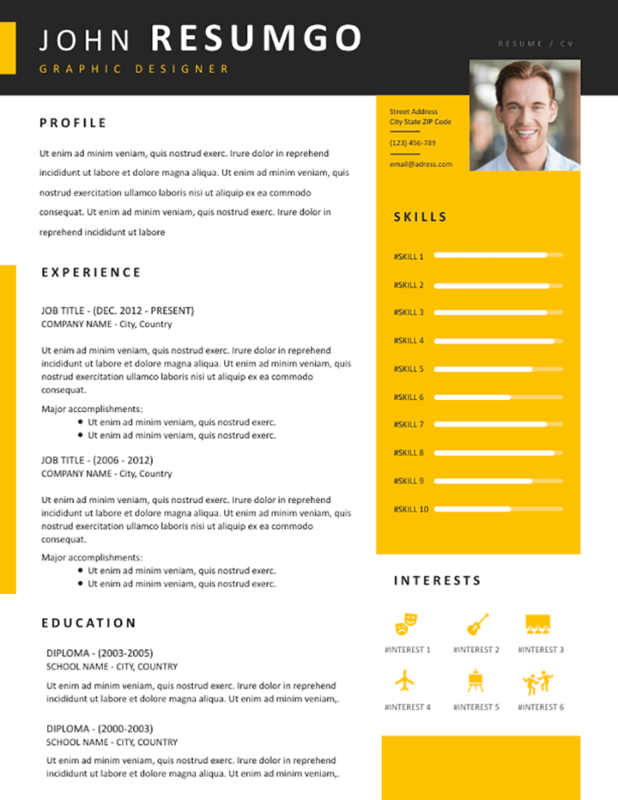 Zotikos is a free expert resume template, with a noticeable yellow sidebar, and a dark gray header. A full-width dark header clearly highlights your name and position. Use the main left part for your objective and/or career summary statement on top, then for your experience and education. The dual yellow (top)/white (bottom) right sidebar visually enhances your skills (horizontal bar charts) and interests (icons).